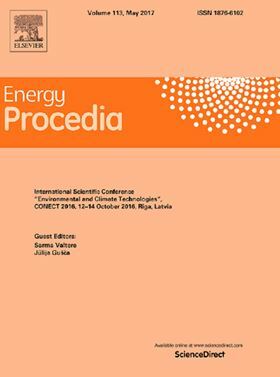 The research paper 'Influence of Polymer Solution on Pump Performances' has been published in Elsevier journal Energy Procedia. In professional warewashing machines, as for example the model of Electrolux Rack Type, the working conditions of the pump are affected by the operating fluid properties, which are different from those of pure water. In fact, the actual trend in this kind of professional appliances is to reduce both energy consumption and time needed for cleaning process: this involves short washing cycles conducted at low temperatures with a solution of water and highly concentrated chemistry. Detergents contain different components and additives, as polymers and surfactants, which can affect the performance of the pump, including cavitation inception conditions. Cavitation leads to flow instabilities, affecting pump performances and inducing an increment in the level of vibrations and noise. While cavitation phenomena in Newtonian fluids is well known, particularly as far as pure water is concerned, in literature there are also various studies on cavitating flows in presence of diluted solutions of polymers additives in water, but only few studies are available regarding the effect of detergent components on pumps cavitation and, in general, on pumps performances. The wide range of variables affecting the phenomenon has led to the development of a laboratory rig for testing centrifugal pumps with aqueous solutions representative of those used in the warewashing sector. This paper presents the results of tests performed with various solutions of a polymer (Polyox WSR301) in water. A rheometric analysis has been previously performed on samples of some of the tested solutions, for characterizing their behavior in terms of both viscosity in laminar conditions and their classification as “diluted” or “concentrated”. For each solution, the resulting performance curves of the pump are then compared with those obtained with pure water. Uday Karmarkar has joined US sealing specialist AW Chesterton Co as vice president of engineering.